Just like Proust had his madeleines and Salman Rushdie had his pickles, the association of identity, memory, and a different time can be related back to the foods that one ate as a child. Which is how Puerto Rican born national Nestor Taveras, who had a digital development agency with his brother, decided to open up Brands of Americas. For him the root cause for his enterprise was the same nostalgia conjured by Proustian madelines and Rushdian pickles. Puerto Rico was a great initial market for Taveras as it’s well known that the diaspora of Puerto Ricans living in America dwarf the number of Puerto Ricans living in Puerto Rico itself. This number has only increased when the devastation that struck the islands following Hurricane Maria in 2017. The website is divided into types of products, from accessories to hot sauces, and around 83% of their orders are from the continental US and the rest from local markets. In addition to overlooking the company’s various ecommerce platforms, the company has also launched a mobile app and the opportunity to help brands update their data to allow consumers to more easily find their products in stores across the country. Realizing they were on to a good thing, they decided to spread wider beyond Brands of Puerto Rico last year, opening up to local brands from Nicaragua. The Dominican Republic followed by the brands from Mexico in mid-December of last year. “For us it was one of the most important consumer points because of the representation Mexico has in the US Hispanic market,” Taveras said. In fact, Mexico has the double benefit of having three unique platforms–Brands of El Paso, Brands of Mexico and Brands of the Border– all of which will feature brands on either side of the border. The next market allow for Taveras to indulge in a little nostalgia of his own as they look to launch Brands of Colombia for products from his homeland. This addition will allow Brands of Americas to consolidate the largest Hispanic demographics within the US and they’re hoping to carve out the biggest piece of that pie. “Hispanic-Americans will have greater influence in the purchasing power within the next five years in the US,” Taveras believes. 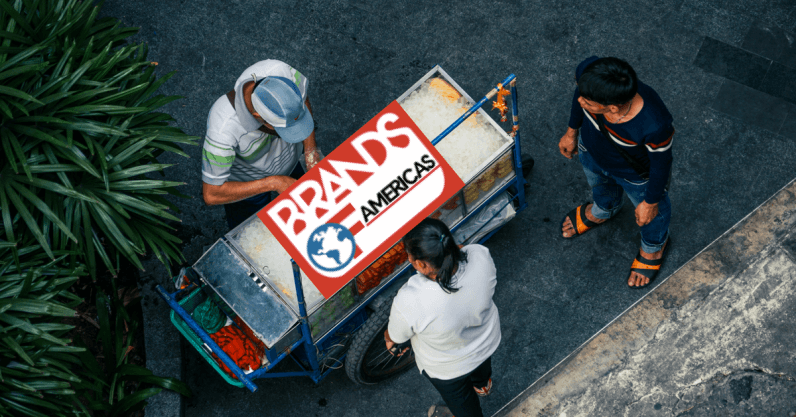 If he’s right, Taveras and Brands of Americas are likely to connect consumer and product, one Latin-American population at a time. This article was originally published on Latam Tech. Read the original article.